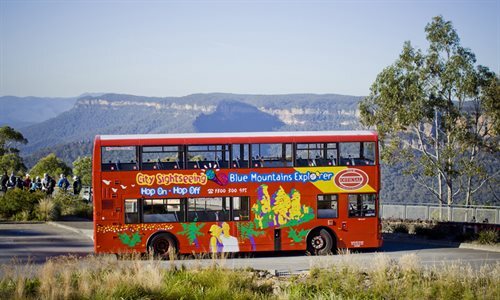 The Blue Mountains Explorer Bus allows you the flexibility to plan your day according to your interests. Operating on a regular basis from Katoomba Railway Station, with thirty minute frequencies throughout most of the day, the full day pass has no restrictions. Hop on and hop off as you please. This means you can plan your day around the all the major attractions on offer in the region. Hop on Hop Off at 29 Stops around Leura & Katoomba. Plan your own day at your pace to visit waterfalls, attractions, galleries, gardens, bushwalks, cafes and restaurants as well as the major attractions of The Three Sisters and Scenic World.